The six-time Australian Open champion Novak Djokovic and L. Pouille successfully reached in Australian Open 2019 Semifinal match, which will be taking place on Friday 25th January 2019 at Melbourne Park in Australia. See N. Djokovic and L. Pouille together in the Grand Slam Semifinal match and enjoy their live performances with your own eyes. In the age of 24, the Pouille has made his first debut in 2013 Australian Open Grand Slam. Currently, ATP World ranking of Pouille is 31 and last year he has got 10th rank. The Pouille defeated the Milos Raonic in 2019 Australian Open men’s quarterfinals. Before that, he never defeated Milos Raonic in the past four attempts. 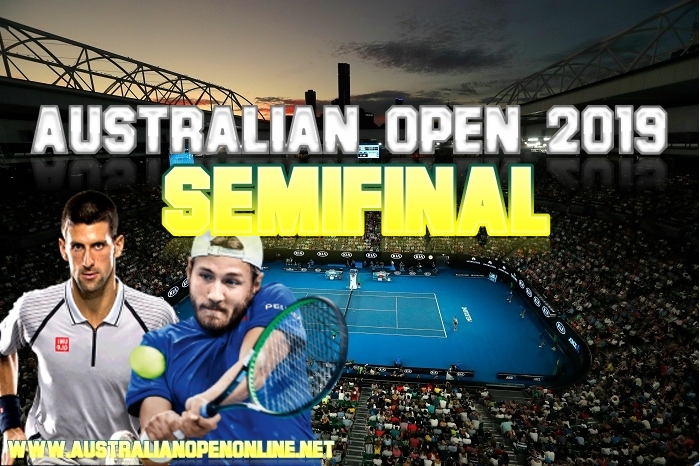 Watch Lucas Pouille vs Novak Djokovic Aus Open 2019 Semifinal live streaming on your smart devices across the globe.